Am I a slave or a servant? Yes! I am both. It isn’t an “either/or” issue. I am afraid, however, we ignore the slave part a lot. We love to talk about being a servant. Books, videos, sermons, songs and more. We even created this new thing called a “servant-leader”. Does it matter? Yes, it matters a great deal. Being a slave is the essence of the life of a disciple of Jesus. It is not to be ignored. It is essential. I want to talk to you about a word? Really? A word? A word in the Scripture that says something that has not been heard much in “the church” in America, or the English speaking part of the world. I’m in shock, really, that it hasn’t seen much visibility. It seems it is somewhat of a taboo issue. We do need clarity on what it means to be a disciple of Jesus and to follow him. What is the concept? So there is this concept of slavery in the scripture that has been generally hidden to the English reader. The word “slave” is the most important, all-encompassing, and clarifying word to describe a disciple of Jesus. It is used in the words of Jesus and the apostles constantly, and yet whenever a modern day disciple (Christian) is in view, it’s not translated “slave.” The word is δοῦλος (dŏulŏs). Consider this from Jesus “Whoever wishes to be first among you shall be slave of all.” (Mark 10:44) Jesus has much more to say on this. Let him who has ears to hear, listen. Have you heard this word? Maybe you haven’t. Discussions of Greek words seems very “theological” and geeky. The word is δοῦλος (dŏulŏs). In the Greek, that word means “slave” — never as anything but “slave.” It doesn’t mean “servant”; it doesn’t mean “worker”; it doesn’t mean “hired hand”; it doesn’t mean “helper.” There are six or seven Greek words that mean “servant” in some form. δοῦλος (dŏulŏs) never means “servant.” A servant is someone hired to do something. The slave is someone owned. 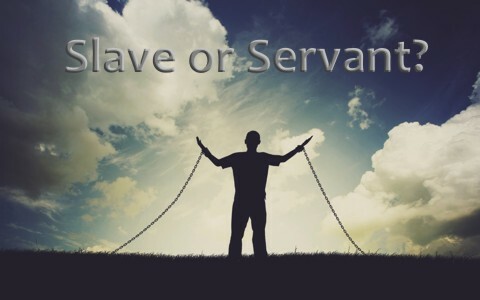 Big difference — huge difference — and yet all through the New Testament the word “slave” is masked by the translation “servant,” or some form of the word “servant.” Truly a remarkable thing. What about the Old Testament? Now if you look at your English Bible, you won’t find word slave very often. In the King James Version, you will find the word “slave” once. But the Hebrew word appears 800 times in the noun, and nearly 300 in the verb. Seems odd that there is a word in the Old Testament for “slave” that appears eleven hundred times, but in your English Bible it’s translated “slave” only once. What about the New Testament? If you go to the New Testament, you will find the Greek word for “slave” about 150 times in all its forms. Depending on the translation you are reading, you will probably only find it actually translated “slave” a few of those 150 times. Most translators only translate the Greek word for slave “slave” when it’s referring to an actual physical slave, or when it’s referring to an inanimate object, like “slaves of sin” or “slaves of righteousness.” There have historically been few of all the translations of English New Testaments going back to the Geneva Bible followed by the King James — up until today — that translated doulos “slave” every single time. This is even though everyone knows it means slave and only slave. In fact, the most formidable of all Greek dictionaries, Kittel, says, “The word doulos means slave, the meaning is so unequivocal, no study of history is necessary.” Because of that, there hasn’t been much emphasis on being a slave. You can’t find anything on “Slave Theology”, right? Recently there have been a few new translations that have started to translate it sometimes as slave. The NASB – 1995 version gets it right most of the time. The Holman Christian Standard Bible translates the word doulos “slave” every time. The Goodspeed translation which translates it slave all the time. Edgar Goodspeed was a cutting-edge Greek scholar in the 1930s at the University of Chicago. Everybody knows what doulos means. It is no mystery. Why don’t they translate doulos “slave”? For the answer to that question, you have to go back to the first English Bibles, back to the sixteenth century, back to Calvin and John Knox and other translators putting together the Geneva Bible. The Geneva Bible is one of the most historically significant translations of the Bible into English, preceding the King James Version by 51 years. A decision was made not to translate doulos “slave.” The reason? There’s too much stigma with the concept of being a slave. It’s too strong a downside. It’s too humiliating, too belittling. So they opted to replace it with “servant” (most of the time), “bondservant,” and eliminated the word “slave”. The only exception is when the New Testament talks about an actual, physical slave, or an inanimate object, like slaves of sin or righteousness. They said it’s just too negative. They thought that it was negative in the sixteenth century and probably still today? What were they afraid of? And if they think there was some stigma in the sixteenth century with the concept of a slave, how about in the first century when the writers of the New Testament used the word? There were as many as twelve million slaves in the Mediterranean world. One out of every five people in the Roman Empire was a slave. And if you study the history of the slavery, it was everything that any kind of human relationship could be. There were a few places in relationships in which it worked very well, but mostly it was horrendous and abusive and demeaning. 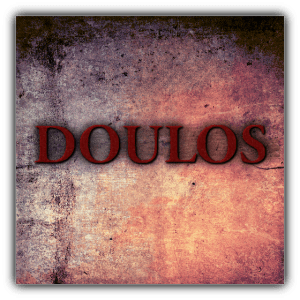 But nonetheless, the Holy Spirit inspired the word doulos. Since we don’t see that word in our English Bible very much, we are missing a paradigm in which to understand our relationship to the Messiah. We are confused and want to be servant-leaders. We need to serve others but we are a slave to Jesus. We need more slave talk. Jesus talked “slave talk” all the time. Jesus and the writers of the New Testament scripture talked slave talk all the time. But we don’t see it because it’s not there in our English text translations. The Russian Bible has it right. Other international translations have it right. We don’t. This was how disciples referred to themselves in the early church. There’s a story about a man named Epheneus who was imprisoned by the Romans for his commitment to Jesus. And then he was brought into some inquisition, and they asked him to answer their questions and to recant his devotion to Jesus and swear his allegiance to Caesar. Every question they asked him got the same answer. He said this, “I am a slave (δοῦλος dŏulŏs) of the Messiah. I am a slave of the Messiah.” And for that, he was executed. If there are slaves then there is a … Now there’s a corresponding word that needs mention as well, and that is the word “master”. So here is a fundamental question: “What is the foundational reality that defines what it means to be a disciple? What is the fundamental reality that distinguishes the believer’s relationship to Jesus? What is our great confession in three words?” Jesus is Lord (Master). You go in the book of Acts and that’s what they preached. This is what’s so hard … you aren’t going to see it there because the word is not translated “slave.” Acts 4:29, “And now, Lord, take note of their threats and grant that Your slaves may speak Your Word with all confidence.” Colossians 1 talks about being slaves; Colossians 4, and many other places. What about the apostles and early disciples? You see it in the letters in the new testament scripture. Every one of them identifies himself as a slave of the Messiah — chosen, bought, owned, subjected, dependent, disciplined, rewarded, provided for, protected, and obedient — and obedient unto death. We like to talk about Jesus being a personal Savior. And I understand that. But that is so ambiguous. What do you mean “a personal Savior,” like a personal butler? What are you talking about? People say, “You have Him as your personal Savior.” Well, I understand that it’s not a corporate thing, I understand what’s being stated there. But the ambiguity of that phrase suits the contemporary vagueness of the gospel. Like Jesus is my own genie who jumps out of His little bottle when I rub it and ask Him for what I want. You have to understand, everybody on the planet has a personal relationship with Jesus, everybody. And for most people it’s not a good one, but it’s very personal. We have lost this incredibly important concept of Jesus as Master and I am His slave. We have a man-centered emphasis in “the church”. We have man-centered theology that dominates evangelicalism, in which we talk about Jesus coming along as a kind of a buddy who loves you and wants to satisfy all your desires and give you everything you want. “I just have one requirement. You can be my friend if you do exactly what I command you.” What kind of a friendship are you talking about here? I never heard of a friendship like that. What does that mean? So, we’re slaves who have been given the privilege of being friends. It means He is in charge. He commands, we obey; but He commands us with full disclosure of all the reasons, marvelous, glorious reasons for doing what He’s doing. There are some critical things to understanding the believer’s identity. One is Jesus is Lord (Master). Kurios–“one who has the power,” “one who is the owner”. That is what the Greek word means. One who has an absolute right to command. It is synonymous with another word. In Jude this other word is used, and this is a good comparison. You’ll remember this in Jude. At the end of verse 4, it talks about ungodly persons who deny our only Master and Lord, Jesus the Messiah. Do you hear the slave talk there? Our only Master and Lord; you can only have one, right? No man can serve two masters. He is our only Master and Lord. What I’m driving at is the word “master.” “Lord” is kurios. Master is used here as a synonym, and the Greek word Jude uses is despotes ,from which we get the English word despot. Now we use it as an adjective. We say somebody who is overbearing, totally in charge, dominating is despotic. That’s exactly the word that’s used. It means an absolute ruler, a sovereign ruler. He is our only despot. He is our only master–extremely powerful words, extremely narrow words. That is why, when our Master offers the invitation to follow Him, He says this: “If any man will come after Me, let him deny himself.” You’re no longer in charge; you’re no longer in charge. “Take up your cross and”…What?…“follow Me.” That’s what it means to become a believer. You just became a slave of Jesus the Messiah, our Master. Our life is not defined by my own wants, my own will, my own desires, my own ambitions, but by His will, His desires, and His purposes. This is the basic truth of discipleship — Jesus is my Master, I am His slave. When I say I’m a disciple, I am saying Jesus is the sovereign over my life. Whatever He wants, I submit to that. That’s the first great understanding of discipleship life. First, Jesus is Master; second, disciples are slaves. We are douloi, that’s the plural. It means we’re owned. Now if you expand on that it’s really, really amazing. You start to study slavery, how did it work? The slave market, right? Slaves are on a block, for sale. You want to buy a slave; you go into the slave market. You pick your slave and then you pay for your slave and then you own your slave, and then you control your slave, and then you provide for your salve, and then you protect your slave, and then you discipline your slave, and then you reward your slave. That’s slavery. Think about that with salvation in mind. The Master went into the slave market of sin, didn’t He? And He chose, and then He paid the redemption price, and it wasn’t silver and gold. What was it? Precious blood. And I am not our own; I am bought with a price. And now He is our Master and He said this, “Whoever obeys Me, he is My child.” Another metaphor, but the same concept. So we have been chosen. We have been bought. We are owned. We are provided for: “My God shall supply all your needs.” We are protected, are we not? We are disciplined. We are rewarded–“Well done, good and faithful slave.” All those concepts within the magnificent realm of what it means to be a disciple are tied to the concept of being a slave. “Wow! This is a pretty hard pill to swallow.” Put yourself in the position of the early disciples, okay? Listen to this. “Go into the world and preach the good news.” Okay, let’s go to the Gentile world; let’s go to the Roman world. That’s where they went. And here’s your message, a crucified Jew — crucified by Romans — is God incarnate. What? Yes, He’s not only the Messiah of Israel; He’s the Savior of the world. Do the Jews believe that? No, the Jews do not believe that. They were the ones who sought His death and the death of Jesus was final proof that He wasn’t the Messiah and that is why the preaching of the cross to the Jews is a stumblingblock. It’s a stumblingblock to the Jews, but to the Gentiles it is foolishness. What are you talking about? A crucified Jew executed in an obscure place in Palestine is God in human flesh to be worshiped? If you’re near the Circus Maximus in Rome, you can look behind some bars that have been there for a long, long time and you will see what is remaining of an etching in a wall that pictures a cross and hanging on the cross is the body of a man and the head of a jackass. And a man below is bowing down in worship and the inscription says, “Elix asinus worships his God.” What a joke. A crucified man is God, and mock it by giving Him the head of a jackass. That’s what the Gentiles thought. Sell that good news. Sell that good news when you get to Rome. Oh, and by the way, not only do we ask you to acknowledge that this crucified Jew rejected by His own people and executed as a criminal by the Romans in an obscure place in the Middle East, but we are expecting you not only to acknowledge Him as God, but to become His … What? … slave? If you think slavery had a stigma in the sixteenth century, how about the first? You think they had a little uphill climb in evangelism? You say, “Well, you know, we’ve got to adapt the good news or people will never believe it.” But that’s exactly what they preached. Jesus is Master, not Caesar; Jesus is my Owner. You must become His slave. It was and is a very offensive message. And that is why 1 Corinthians 12:3 says, “No man calls Jesus Master (Lord) but by the Holy Spirit.” Only the Holy Spirit could overcome the natural resistance that the sinner has in his heart. If you follow the rest of the story in the New Testament scripture, you become a citizen of His Kingdom. No slave in the Roman Empire could be a citizen. Couldn’t own anything. Didn’t have any rights. Couldn’t give testimony to a court of law. Couldn’t be defended in court. This is a different kind of slavery. He provides everything you need; makes you an intimate friend and gives you full disclosure of everything that’s on His heart. First Corinthians 2:16, “We have a mind of the Messiah.” He’s revealed it to us on the pages of Scripture, and He makes us sons, and He makes us heirs and joint-heirs with His own. He makes us reign with Him, citizens of His glorious kingdom. And yet we are slaves. In John 13 Jesus was looking at His block-headed disciples who struggled to understand things and were so selfish. They were always fighting about who would be the greatest in the kingdom, right? James and John even got their mother to go and beg. What man would do that? The strange part is they were the sons of thunder. At one time they’re praying down fire on people’s heads and Jesus has to calm them down. The next time they’re hiding behind their mother’s skirt. But there was always this thing about who is going to be the greatest in the kingdom, and they have no thought for what He’s about to suffer. He’s told them day-after-day that He’s going to suffer and die. And they’re just into their own thing. And in John 13 when it says, “Having loved His own who were in the world, He loved them” is telos–“He loved them to the max.” This is a Master who loves with a perfect love, with a complete love, with an everlasting love. You will never understand your relationship to Jesus the Messiah until you see it in this sense. Jesus is Master, I am His slave. In Luke 17, once you understand this, you’ll start to see this unfold as you go through the Scriptures and the good news books and through the rest. You can go through the book of Revelation, there are references to believers in every age up until the last age before the return of Christ, and we’re identified as slaves. So it’s a long-lasting identification. Luke 17:7, “Which of you having a slave” … This is because it’s the actual slave in this little illustration; it’s translated correctly … “Which of you having a slave plowing or tending sheep will say to him when he comes in from the field, ‘Come immediately and sit down to eat?’” No, no; would he not say to him, “Prepare something for me to eat, and properly clothe yourself”…Go get cleaned up…“and serve me while I eat and drink and afterward you may eat and drink.” That’s what slaves did, right? They served their masters. He doesn’t thank the slave because he did the things commanded, does he? He’s not like above and beyond the call of duty to be obedient, is it? To do that which pleases your master?